We have a fun, promotion-packed home stand that starts this Saturday, May 10 against the Round Rock Express. 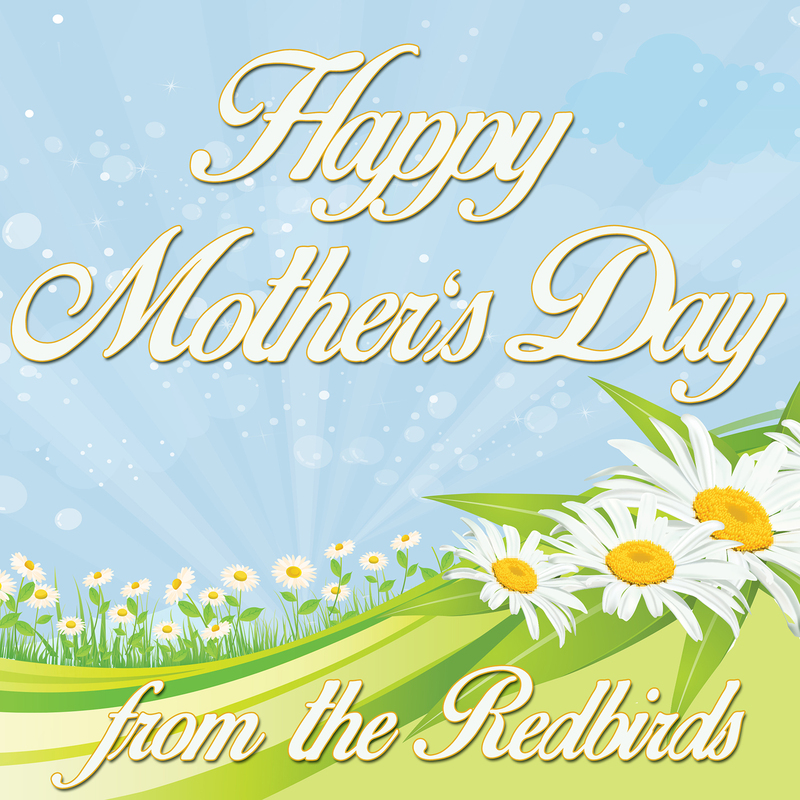 Check the Redbirds website for all the details. One of the promotions for the eight-game home stand occurs on Mother’s Day. That Sunday’s game starts at 1:35 pm and gates will open at 12:05 pm. We want to make sure all the moms out there feel appreciated. 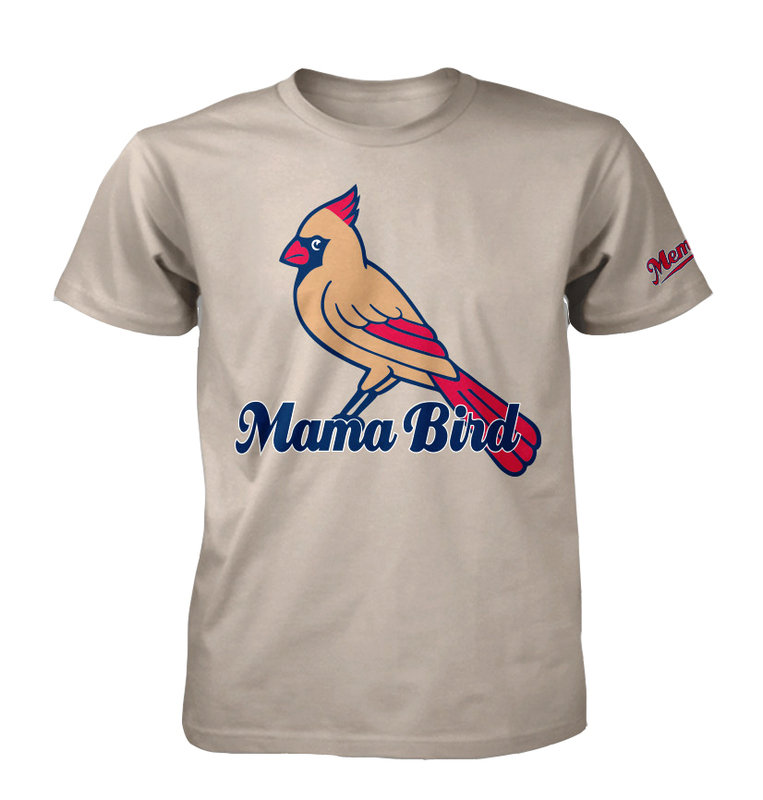 One of the ways we are doing this is giving 1,000 mothers the opportunity to go home with this special shirt. 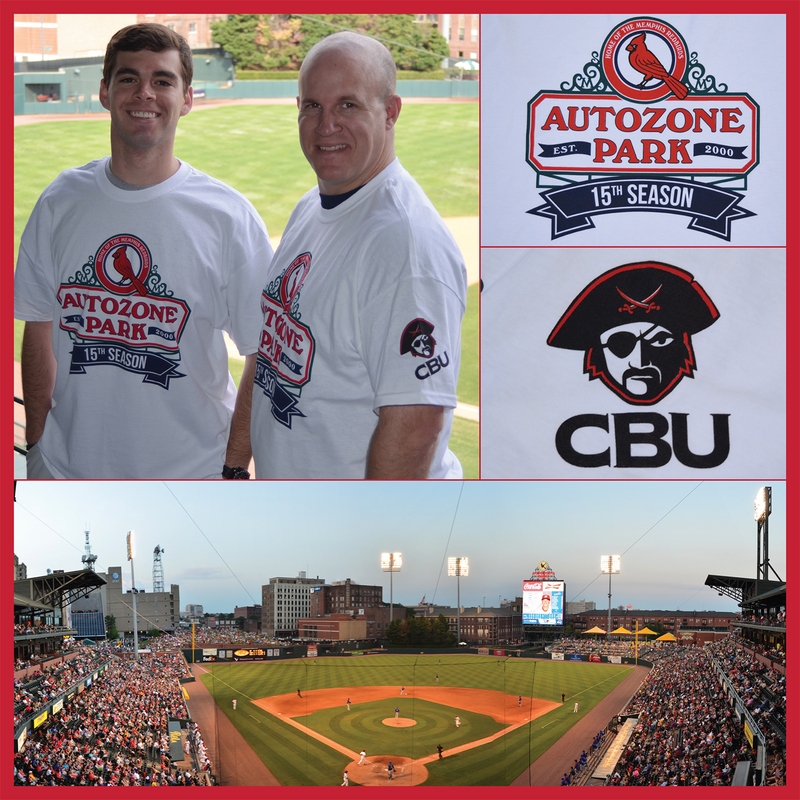 Be sure to get to the park in enough time to grab your shirt and check out what else we have going around AutoZone Park so you don’t miss any of our great giveaways! 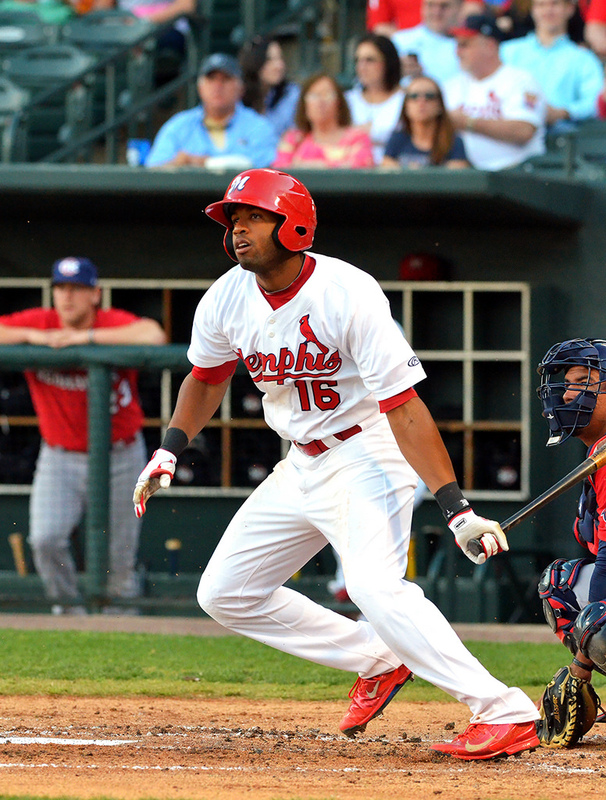 Xavier Scruggs (@Xavier_Scruggs) was drafted by St. Louis in 2008 out of UNLV and is in the midst of his seventh professional season. He grew up in California and attended Poway High School in San Diego. 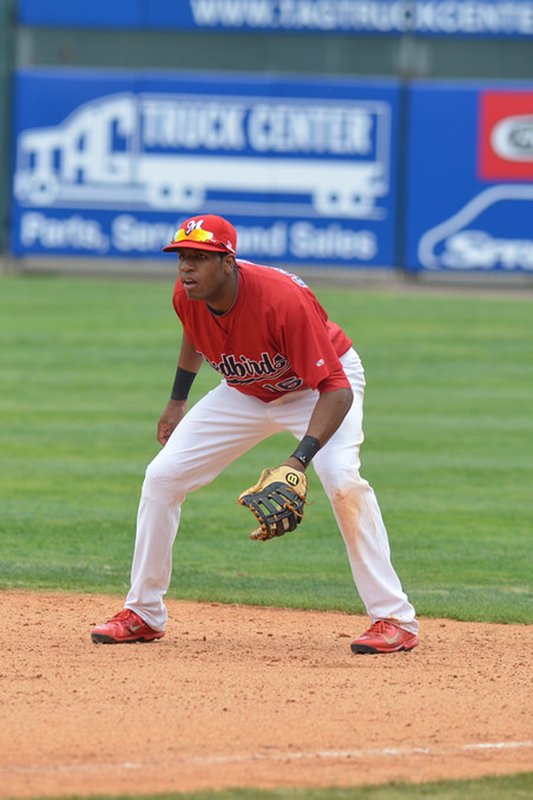 The infielder spent the past two seasons with the Cardinals’ Double-A affiliate, the Springfield Cardinals, where he is the all-time career home runs leader with 59. 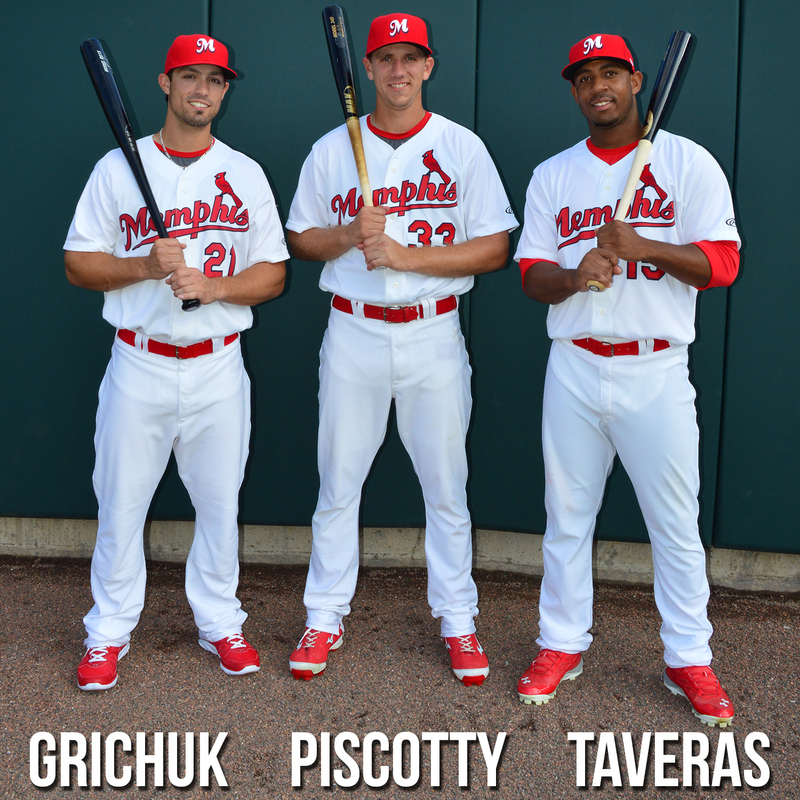 The 2014 season is here and underway and I couldn’t be more excited about this year’s Memphis Redbirds team. It is another season to show improvement, strive for your dreams and to grind all 140 games. Triple A is a new experience for me. I have never been to Memphis but I have heard so much about it. The first day we arrived I couldn’t help but be in awe of such an awesome stadium. I stared at the field just thinking how AutoZone Park will be my new playground for the next 6 months. It was three days before the season started but I already wanted to be on the field. I was visualizing myself in the batter’s box and hitting one over the fence. Redbirds fans showed up for one of our first practices and it only emphasized how awesome it is to have so many people that support you. Needless to say I am very blessed to be here. Every day I remind myself to not take this for granted. When I think about it, all I’m really doing is playing the sport I have loved to play since I was five years old. What makes it even more special is that every year I get to play in front of so many Cardinal fans that truly love the game as much as I do. For that I will be forever thankful grateful. There are two things that I have always associated with Memphis and I’m sure it is probably the same for others who aren’t from here: music and food. People warned me about the food here in Memphis. They told me there is a good chance I could get fat with all the wonderful food here in this city. It’s such a shame that all the hard work I put into shedding pounds this offseason will be put to waste with places like Rendezvous, Central BBQ, Gus’s, Blue Plate Cafe and Germantown Commissary surrounding me. I’m not complaining though because being from California it’s not too often I get options like this. My first thought about the upcoming season is that we have a very talented team. It is not every day that a team has such a remarkable outstanding core of guys. I’m positive that our team will do very well this year. True baseball fans know that a team only goes as far as their pitching will take them. With that being said we could definitely lose pitchers to the big league team if they are pitching well. Actually that could be said for both position players and pitchers. That is one thing that I will have to get used to more of this year, seeing players get promoted to the big leagues. That’s the most exciting part though, knowing that you are only one step away from being in ‘the show’. That’s all the motivation I need. I’m happy to call Memphis my new home for a little while, but hopefully not for too long because I would love to check out St. Louis as well. More blogging to come very soon, but for now you can find more of my thoughts on Twitter. Until next time! The baseball season is underway and with a brand new start comes a brand new application that allows fans the opportunity to interact even more. MiLB released their Inside the Park app before the season began in April. 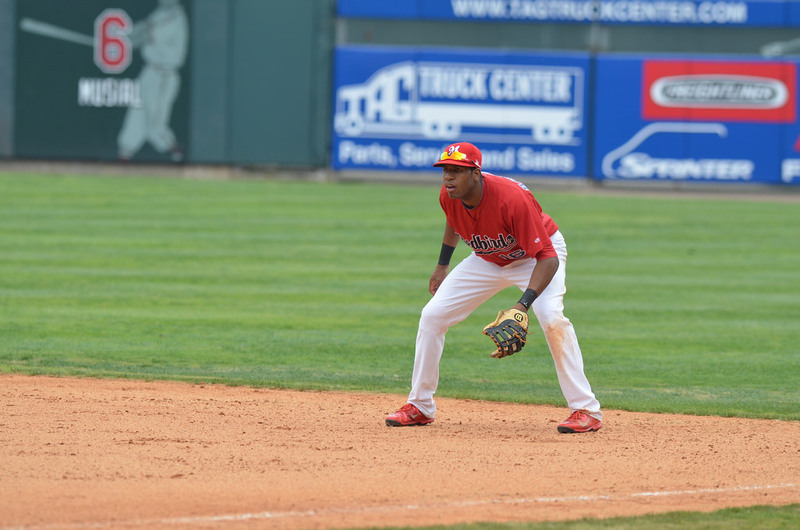 It is a terrific resource that enables fans to know all the different events planned for the game and gives more information on the Redbirds’ team, AutoZone Park and other various outlets. For every home game inside AutoZone Park, fans can open the app and see a rundown of the night’s schedule of events on the dashboard. The app sets different avenues for fans to interact on social media outlets like Facebook, Twitter and Instagram. Fans can purchase tickets straight from the app if they want as well. The new app provides fans a fun, new way of experiencing a game. It is available for Apple and Android phones. 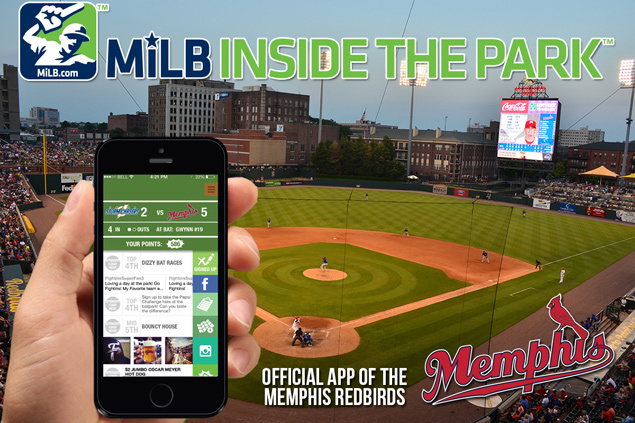 Download Inside the Park today and get to a Redbirds game! Here’s a peek of what it looks like. Friday, April 11th, will be a special day here around the ballpark. The Redbirds open the gates to AutoZone Park for the 15th season of play, as the team hosts the Iowa Cubs. The first home stand is scheduled to be one of the best all season long. Besides being around the excitement and anticipation of the home opener on Friday, the first 3,000 fans will also be treated to the shirt pictured above that commemorates the park’s 15th season, presented by Christian Brothers University. There will also be a Block Party in the Plaza two hours before the game with drink specials and live music. It will be one of the best nights of the season. On Saturday, April 12th, the first 3,000 fans will receive a handy magnet schedule presented by Shelby County Health. Those in attendance will also be treated to a special fireworks show set to Memphis-themed music. Fans are invited to join the Redbirds on Sunday, April 13th, for Bark in the Ballpark. All dog owners with a ticket will be able to have their furry friends join them inside AutoZone Park. The game will also feature the national entertainment act of Jake the Diamond Dog. In addition, all hot dogs will be $1 throughout the game. Fans will not want to miss the chance at this weekend’s terrific slate of games and promotions. Tickets are available here. We hope to see you this weekend! 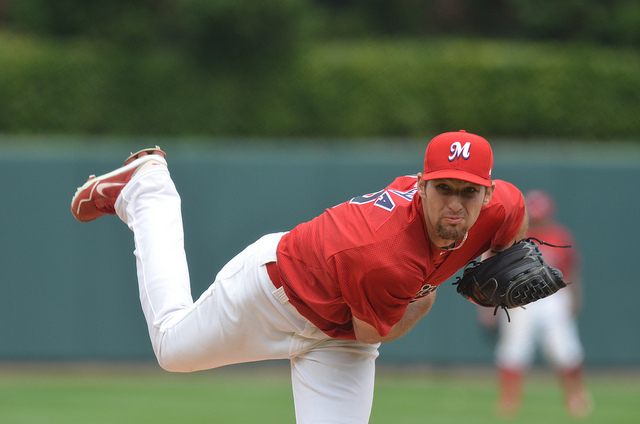 April 7, 2013 – Michael Wacha made his Memphis debut and Brock Peterson hit his first home run of the season on the way to leading the PCL in homers. The then-21-year-old went 4.0 innings and surrendered two earned runs on 5 hits. The right-hander went on to appear in 15 games with Memphis in total, this being the only outing he did not record a strikeout during his tenure in Memphis. Wacha would end up finishing 5-3 with the Redbirds before being called up to St. Louis where he had a postseason for the record books. For Peterson, his 11th-inning home run was not enough to win the game against Oklahoma City in the 14-10 loss. The power-hitting first baseman did go on to hit 25 long balls in total though, tied for 8th in Redbirds’ history for a single-season. Opening Day has become one of the best afternoons of the entire baseball season. Every team has a renewed outlook at the season. Every player starts with a perfect average. Every ball club begins in first place. The grand spectacle that is Opening Day gets every player excited, and when players are excited, they take to Twitter to make sure the whole world knows they are. Both former and current Redbirds made their thoughts known yesterday. Matt Carpenter, who signed an off-season contract extension to remain with St. Louis through the 2019 season, was ready to go yesterday. Kolten Wong reached base twice yesterday against Cincinnati, including a beautiful bunt single. Cardinals beat writer Derrick Goold experienced Opening Day in Cincinnati, where there was a parade through the streets in celebration of another season. Every team has that funny guy. Joe Kelly fits the role perfectly with St. Louis. Trevor Rosenthal, who notched his first save of the season yesterday with a perfect ninth inning, hanging out with Kelly and outfielder Peter Boujos before the opener. Bourjos turned 27 yesterday. When Kevin Siegrist tweets, you know something is a big deal. Adam Wainwright received a lot of deserved praise yesterday after notching his 100th career win. Xavier Scruggs may have said it best. Nothing better than baseball being back! The Redbirds open their season on the road this Thursday, April 3, at Iowa. They then begin the 15th season inside AutoZone Park the following Friday, April 11, at 7:05 pm against Iowa. If you have not already, grab tickets to the opening series and we hope to see you around the park soon! Trying to find an exclusive behind-the-scenes sample of various happenings around AutoZone Park of the players and staff? The solution is following the Memphis Redbirds on Snapchat! 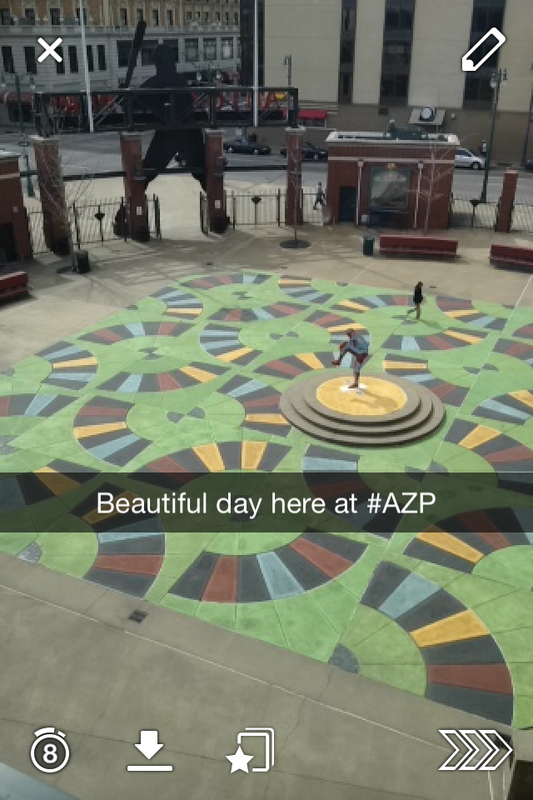 Just add Memphisredbirds (all one word) to your Snapchat friends list and enjoy videos and pictures from around the ballpark. As another season kicks off soon, we hope you find our “snaps” enjoyable! 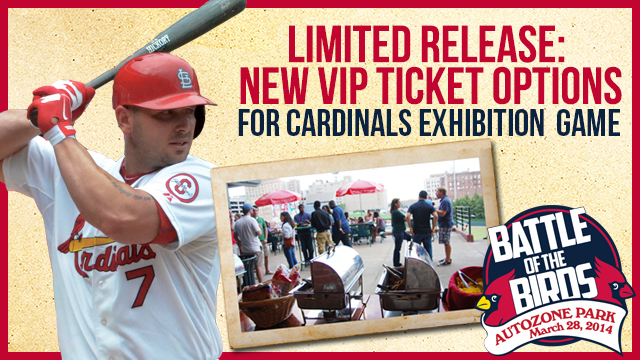 The Battle of the Birds exhibition game between the St. Louis Cardinals and Memphis Redbirds is one short week away! The first pitch is scheduled for 6:35 pm, with gates opening two hours prior so fans can fully appreciate the spectacle and take in batting practice. For fans who have not secured their admission yet, new VIP ticket options were released today. The VIP ticket options are available for purchase exclusively over the phone by calling (901) 722-0257. Fans will not want to miss their chance at this last-minute opportunity. More information can be found here. We can not wait to see you in a week and celebrate AutoZone Park’s 15th anniversary!